I came across an article on T-Nation that’s inspired me and is now something I am taking action on. 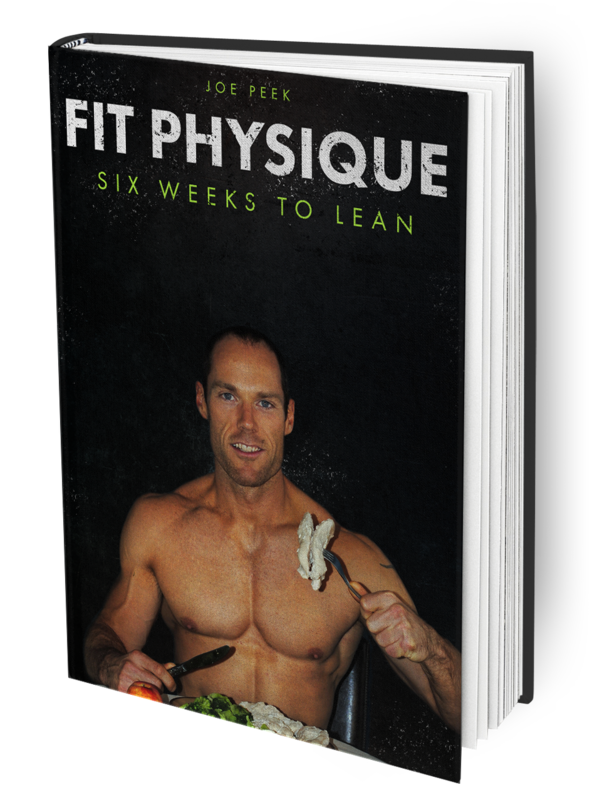 It’s called the chinup project and by following the program it is said you will add an inch to your arms over the course of 8 weeks. Well, that’s a big statement so I’ve gotta know. Is the Chinup Project going to work for me? Once you get through the first 4 weeks, you should start to see a 1/2″ or so arm growth and you’re now ready to move on to the second phase of the project. The second phase consists of weighted chins using your 6 rep max. You’ll complete 25 reps in as many sets as it takes to complete and you do this 3 days a week for 4 weeks. Once you get through the second phase you should see another 1/2″ on your arms. Now there’s a bit more to it in the first phase such as 5 minute challenge days each week so I’m only giving you a brief summary. If you want to see the full challenge in more detail, you can check it out here. 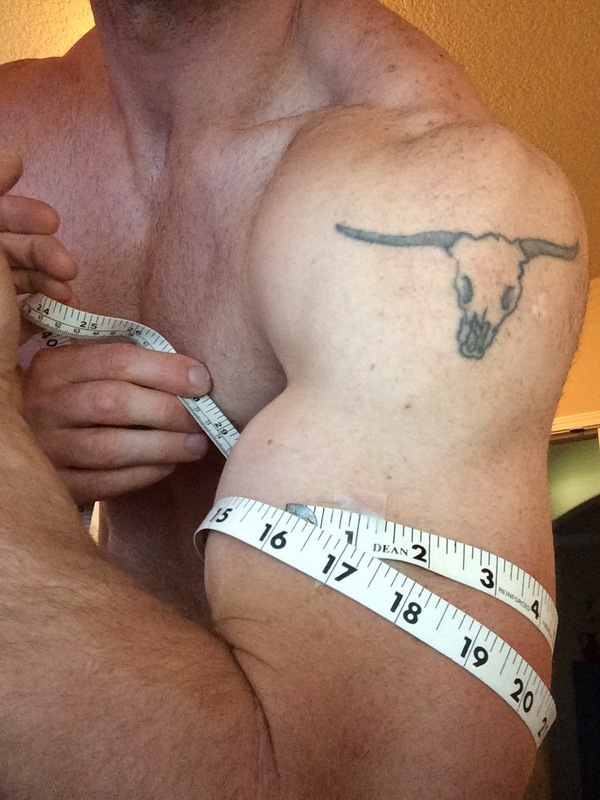 For myself, I have gone ahead and taken “Before” pictures of my left and right arms and they are measuring 16″. Once I get through the first phase, I’ll be sure to update you and let you know my progress. Until then, stay jacked, stay strong! Get HyperTroFried! After the first 2 weeks of chin-ups, I’ve learned a few things. First, I came out the gate swinging. 162 chins in Week 1 left my arms mangled in Week 2. 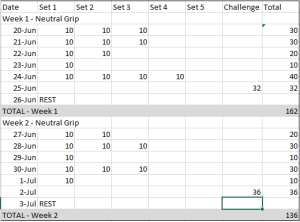 I had to take more than one day in Week 2 to recover and only allow myself to hit 1 set in a day on a couple occasions. Second, it takes a lot of will and good time management to get through this program. More often than not, I find myself forgetting to hit my chin-ups throughout the day and remembering last minute. Going into the next 2 weeks I will set a reminder on my phone. 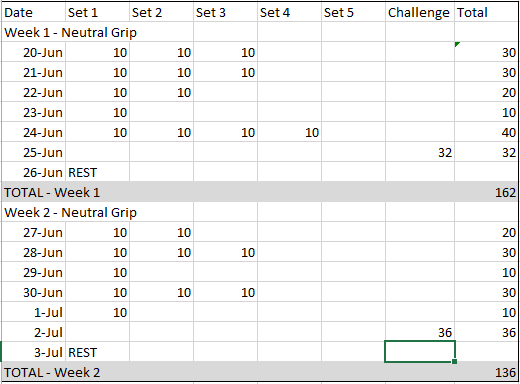 Lastly, I am glad the first 2 weeks are complete and I can move on to the supinated grip. I am a bit burned out on neutral grip chins and am happy to see a bit of change. I’ll be sure and update my progress after these next two weeks are complete.